The Cabin At Killington: Left Unit - Close To Everything! Great Ski Home For 12. 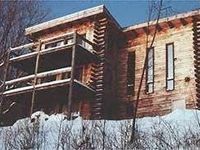 Property 1: The Cabin At Killington: Left Unit - Close To Everything! Great Ski Home For 12. Property 5: Cabin in the Orchard near Silver Lake * Ask about a Back to School Discount! Property 12: NEW LISTING! Cozy Log Cabin, Close to Activities and Private, Nature is best RX! All Season Three Level Log Vacation Home On 21 Acres Between Okemo & Killington! Property 14: All Season Three Level Log Vacation Home On 21 Acres Between Okemo & Killington! Property 15: Spacious Log Home, 5 bedrooms, sleeps 16! Near Okemo, Killington, Woodstock!!! We loved our stay! The house was beautiful and had everything we needed. It was very clean and in a great location. Going to have to come back for a stay in the summer! 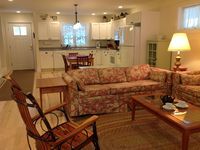 Authentic, everything you need, Vermont accommodation. Everything was precisely as discribed including directions to the house. It was perfect for our large group of adults and children. The area was a real rugged mountain rural tranquil sort of place. Huge property in an untouched by development landscape. If your looking for a place to stay while near and around Ludlow, we highly recommend staying at the Hornsby&rsquo;s.